Positive Words have power equal with the information that we are conscious of. Each word is connected with a realm of consciousness specifically related to that word, where people have added/deleted/corrected the information over time. To ensure that a certain realm of positive consciousness will not elude you, research the positive word to become aware of that realm. Awareness activation, through articles, people, places, events take few minutes, no more, of deep focus. But, as you go further in your life, you might notice that the veil of ignorance (lack of awareness) has taken over you again, so the solution is to research again the word, reinforcing that power. The study of positive words is introduced in schools all around the world and studied by children/youths before going to university. The list of positive words is accessed by every person in the world, at least once every year, in different formats and languages. We are a small group of people passionate about positive language and positive thinking. We consider the substance of positive thinking to be positive words. Watch the founder TEDx talk about the power of positive words. Positive Words Research publishes information on the benefits and importance of utilizing positive language. You will find here a wonderful selection of articles to educate you on the benefits of this fascinating subject. They will provide you with all of the tools so that you can make long lasting positive changes in your life. You will find writings about positive words, gratitude, love, self-love, kindness, and happiness to name but a few. Positive Words Research aims to increase your awareness of the important role that positive language plays in helping you achieve your well-being. You will begin to be aware that this knowledge is the catalyst to help you make the transition to a more positive, empowering and a healthier way to live. The intention is to give you an extensive list of positive words so that you can add them to your vocabulary. We encourage you to reflect and draw upon this new positive reservoir of words so that you can make long-lasting and wonderful changes in your own life. Positive words create a foundation for long-lasting happiness. For people to be able to converse and think in a more positive way it is essential to develop an internal dictionary of positive words. Doing so will have a positive impact on all areas of a person’s life i.e. increased confidence, increased well-being and success, happiness etc. What sets a happy person apart from another is that he think in a different way. A positive thinker is equipped with a wide positive vocabulary and confidently uses it daily. A negative thinker has a limited positive vocabulary and also doesn’t use positive language on a consistent basis. To make the transition to the more resourceful state, it is so meaningful that the brain has a good stock of positive words. If not then the transition can’t be made, and the mature brain, which thinks mostly in words, reverts back to the negative state. Therefore having a new modified internal dictionary with an extensive list of positive words to choose from, will help keep your brain in a positive state. Promoting positive words is my life’s mission. I call myself a positive words researcher. I started researching positive words in 2012 with the word gratitude and then with appreciation. I was writing on pieces of paper their related positive words. In January 2013 I created a blog called Positive Words Research. On this website I started to build a list of positive words. I added one by one the positive words to the list because I first wanted to understand them myself. And then something magical happened. People all around the world started commenting on the list and suggested me new words to add. The list became viral on the internet between 2013 and 2014 and became the best list of positive words in the world. When people put positive words in Google, this list comes top. Currently, this list has over 1,300 positive words. Before 2012 I used to work for 10 years as a financial auditor in Ernst&Young, GrantThornton, and GreenGroup. Between 2014 and 2016, was created the list of positive words in 15 more languages, the major languages of the planet. Also was created a second English list with a collection of over 5000 positive words. For my country, Romania, was created the first and the only list of positive words in my native language. The Project also has 2 online applications and an iOS mobile website application. I am public speaking and holding workshops in schools and companies about positive words. The top 3 books recommended by me: “A Guide to Rational Living" – Albert Ellis and Robert A Harper, “The Magic” – Rhonda Byrne, “The richest man in Babylon” – George S. Clason. The top 3 self-development programs recommended by me: “Love or Above” – Christie Marie Sheldon, “Unlimited abundance” – Christie Marie Sheldon, “Creative Visualization” – Lisa Nichols. Become friends with me on Facebook. Have a blissful day! 2012 – Elena starts researching positive words. She makes a research on the word GRATITUDE and then on the word APPRECIATION. She writes on pieces of paper the related positive words. See this picture. January 2013 – Elena starts the project PositiveWordsResearch.com. 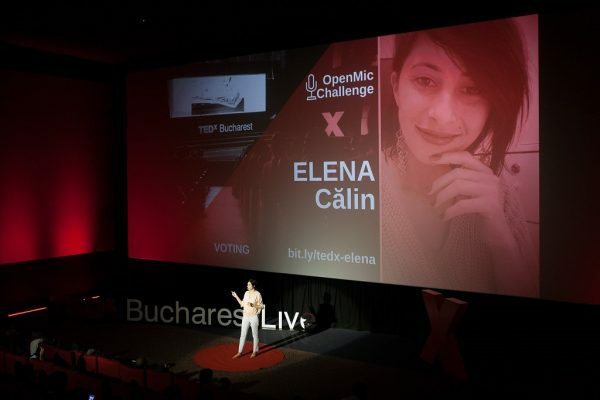 2013-2014 – Elena starts creating this list of positive words which in time becomes viral and becomes the best list of positive words in the world. When one puts positive words on Google this list is first. 2014-2016 – Creating the list of positive words in 15 more languages. June 14, 2017 – Workshop for children about positive words at the Mindvalley U. Academy in Barcelona. 2017 – Speaking at Upgrader “Noua Generatie de Antreprenori" about a Gift Shop that will sell positive words. 2017 – Speaking at ImpactHub about a Gift Shop that will sell positive words. May 2018 – Giving cards with a positive word at the 24 hours ultrarunners European marathon organized in Timisoara. Set a Guinness World Record as the person that gave the most cards with a positive word in history. Give a gift with 30 positive words to my mother, father, and brother. Give a gift with 30 positive words to Simona Halep. Give a gift with 30 positive words to Andreea Esca. Give 500 cards with a positive word to Mindvalley U. attendees taking place in Tallinn 2018. Give a gift with cards with positive words to Andreea Gherasim. Give a gift with cards with positive words to Diana Amza. Give a gift with cards with positive words to Principessa Maria of Romania, from the Royal Family. Positive Words Research highly recommends researching positive words, not only find out out them. Although the first step is to extend your positive vocabulary. Second, deepen your understanding of the positive word by reading books, articles, going to workshops, discussing with people, journaling, self-practicing. In this way, you will be able to look at life from another point of view, through the new positive word, and transform your consciousness, past, present, and future. Positive words are anchors of the highest consciousness there is in the Universe. Pull the anchor by researching the word a few minutes and connect that part of consciousness with your own consciousness. Actually more truthfully would be said as: be aware of that part of consciousness that is already inside of you. You just need to find your way back to that light. Hello Elena Really Helpful and looking for the same for few months and i like to learn positive world .me to researching in positive words.